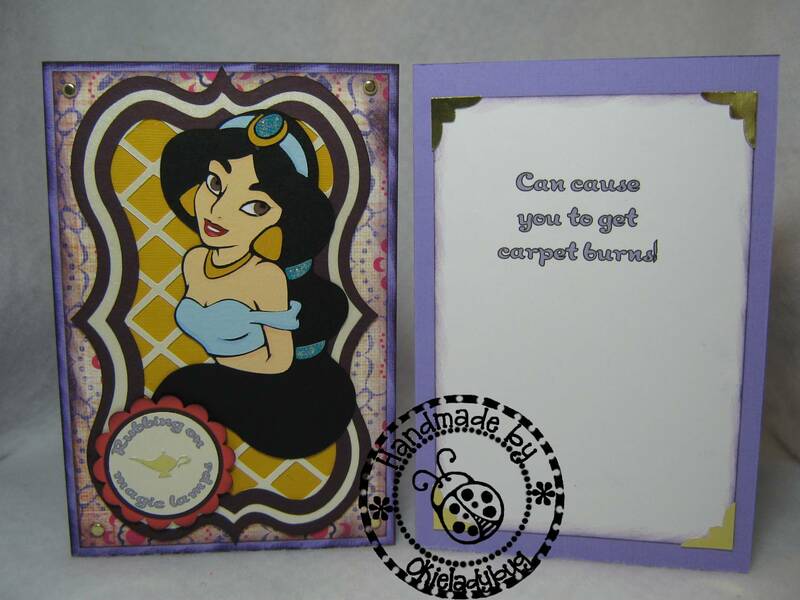 Okieladybug's Scrap N' More: Oh that naughty Jasmine! 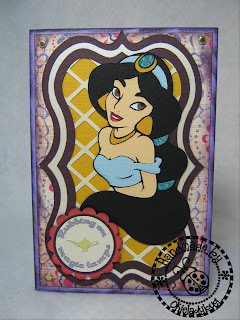 For today's naughty princess I am featuring Jasmine. Who knew she could be such a lamp polisher? She does look rather innocent doesn't she? The card measures 4.25 x 6.25 inches. The background paper is Sassafrass Lass. 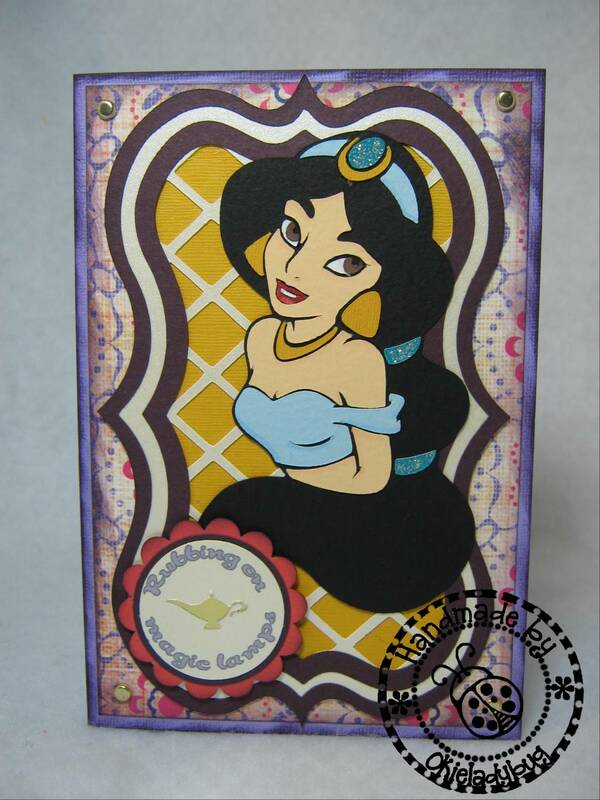 The frame behind Jasmine is from French Manor. I thought it gave a lattice look that you might see in a palace. I used Stardream Mica to cut it and then some Prism cardstock for the dark purple. I just cut a piece of gold cardstock to put behind the lattice frame with my paper trimmer and clipped the corners so they wouldn't stick out. I looked at it without the gold but it was too busy and the lattice got lost in the background paper pattern. 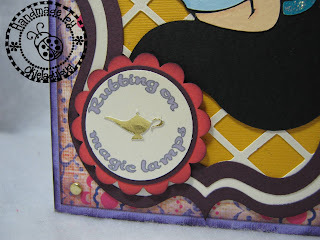 For the inside of the card I used the same gold metallic cardstock as the lamp and used an EK Success photo corner punch. The sentiment on the front of the card was generated in Microsoft Word using Word Art. 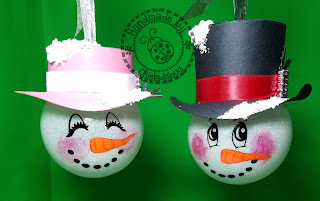 I used a 1 3/8" and 1 1/2" circle punch and the Scallop Circle is a Stampin Up punch. The lamp is cut from Dreams Come True and I don't know if I would have been able to set it that small without Design Studio. I used some shiny metallic cardstock to cut the lamp. I think it gave it a nice look. I was able to match the coloring on the sentiment with the Lovely Lilac Stampin Up cardstock I used with the base by using the Color Value Chart that Stefanie Williams of Stationary With Style came up with. You might want to check back later for a neat little giveaway I will be doing from Stefanie! I honestly don't know which princess will be featured tomorrow. I guess I better put my thinking cap on ASAP! So what exactly have you been up to lately????? 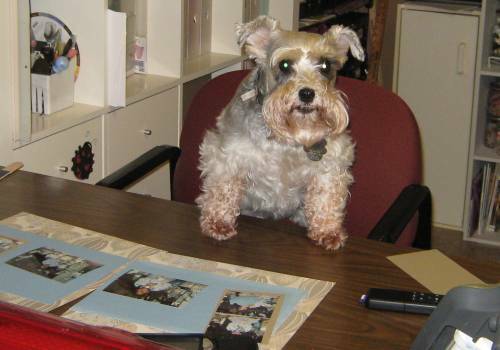 So cute, I am enjoying your cards, they are not so naughty! She is HOT!!!! Your colors are amazing. i'm thinking i should add a 'princess' cart to my collection. Oh Dear Me! I am afraid to comment on this card ... but oh MY, my thoughts are a flowing! You are hilarious! Great card. LOL!! That was a great card and so funny! Okay, Sleeping Beauty is definately naughtier than Jasmine! So far! You go girl! I love this series you're doing! Laughed again! I love these cards! haha! Not thought of the princesses this way. They always seemed so pure! You KNOW I should KNOW better than to read ANYTHING you write while drinking but I dont and now my laptop has coke zero on it! Thanks! That is awesome...LOVE, LOVE, LOVE IT! Teee Heee Heee You are a hoot! Love the card and your humor! Both cards have been soo funny. Keep them coming. Another cute card...TFS! I'm gonna check out that link you shared too. This series is just over the top awesome! The sentiments are too funny. Your princesses are really stunning. Thanks! My Disney heart just so loves this! Looks awesome!! Too funny! 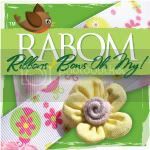 I can't wait to see what you come up with next! Never gonna look at Jasmine the same way again......nah, I always knew she had some naughty side to her LOL! Way to go Okie! You make the princess carts look like more fun than I thought they were. Love these cards. Absolutely love this one!! Jasmine looks so innocent!! Great Job!! Not to worry,I usually do the offending,lol.You are so creative in a good twisted way.I'm going to Disneyland on Friday and I think I will just avoid the Princesses or I may bust out laughing. Thank you Okie! You are inspiring me and keeping from cheating on my E and entering the Hallmark store. These get the Shoe Box lover's stamp of approval. 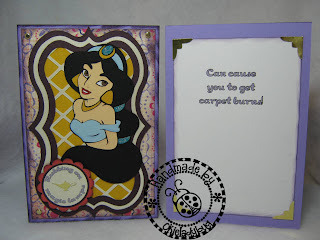 I so need to make this card...a story I'd rather not tell or I will blush. You are the BEST!